Social media very rarely stays the same, this is because social media platforms are constantly changing to keep all users interested in all the new features they can offer. These changes can be both good and bad for marketers. 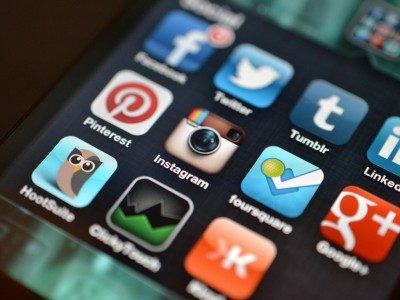 Here are six trends which cause brands to change their social media practises. Facebook has been decreasing the organic reach of companies and organizations. It’s been like this for a few years, meaning the average number of people reachable on posts have started to drop. When Facebook started, it was all about connecting with friends and family. Corporations and brands were added later. Many think it was a subtle move to make Organizations buy advertising. Users prefer in-the-moment content. Ever since social media platforms became available to mobiles and tablets, it’s been much easier to share content like images, videos and status updates to friends and followers. This content can be consumed quicker and users have begun to crave it. This has started new trends like live video streaming on social media applications. Posts are no longer as effective, so you would need to stay active. New ways of reacting to posts are being created which are causing posters to come up with new ways to engage. The best example of this is the reaction emoji’s on Facebook which allows users to react to posts with “sad”, “angry” and even “haha” emoji’s instead of “liking” posts. The addition is caused changes to happen with users and engaging with others. A number of changes are causing a rise of shorter and faster exchanges on social media. Part of this is from users using mobile apps. This makes it harder to type out responses as visual content is more over than written content. Visual content isn’t just videos as it’s also images. When emoji based reactions were introduced, it made it easier for users to interact with posts which influence shorter conversations and posts. Clickbait style articles once controlled newsfeeds. The most catching headlines would guarantee some sort of social media recognition. Now users are more wary of gimmicks and tactics. Clickbait based articles now have lower rates of success and engagement.